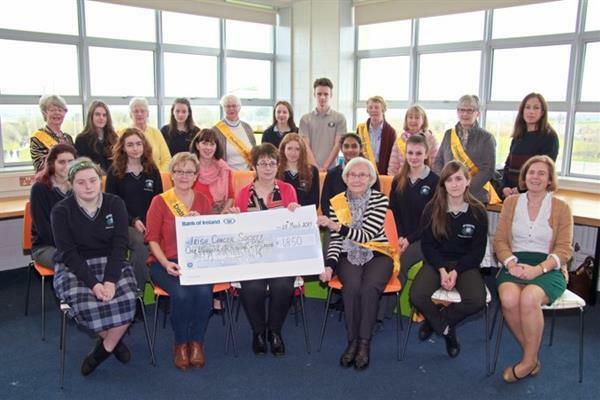 Pictured above are the Fundraising Committee from Pobalscoil na Tríonóide, who raised the outstanding sum of €1,850 in aid of the Irish Cancer Society. On Tuesday February 26th we commenced our fundraising and finished on Friday March 22nd with our most successful ever Coffee Morning. We are incredibly grateful to everyone who helped make our fundraising such a success. Just as we encourage our students to aim high, we also set our sights on raising as much if not more than last year. We totally surpassed our goal this year ! 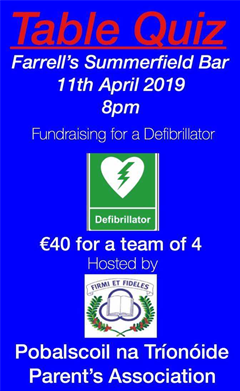 We thank everyone who donated money to our fund and are particularly indebted to the following people: Office Staff, Caroline Cooper, Eibhlís Dillon, Bernie Heffernan, Margaret McGrath, Niamh Condon, Marie Condon, Gráinne Ní Fhlartha, Kelly Motherway, Tom O’Brien, Gabrielle Blackburn, Áine Fitzpatrick, Kisandra O’Shea, Maeve Lynch, Niamh Faherty, Lucia Garcia, Aoife Nolan, Nadia Senouci, Saoirse Cooley, Sheesa Joseph, Laura Kovacs, Alena Toracova, Troy Hennessy, Jason Allen, Jake Motherway. In particular, we wish to acknowledge the incredibly generous pledge by a staff member to match the amount collected at our Coffee Morning: €439.17.